Consider the year 2087. What will life look like then? 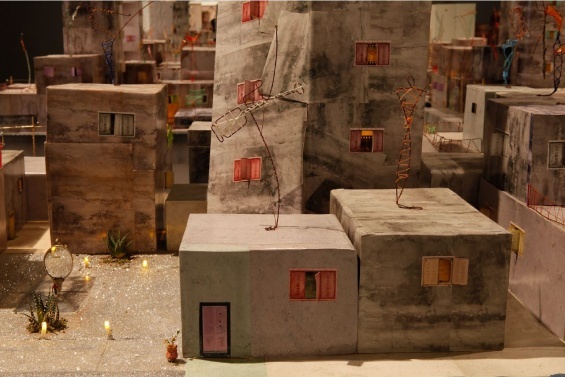 Build your vision of the future inspired by Wafa Hourani’s Qalandia 2087 (2009) part of “Here and Elsewhere,” a major exhibition of contemporary art from and about the Arab world. From 10 a.m. to 12 p.m., plan, construct, and organize your own future city using different collage materials. New Museum educators will also offer family-friendly tours of current exhibitions during the two-hour period. No preregistration is required. Space is limited and tickets are given out on a first-come, first-served basis. Your entire party must be present; tickets will not be given to partial parties.